Georgia Southern University’s Enactus Team poses for a photo after winning the regional champion title at the Enactus regional competition. 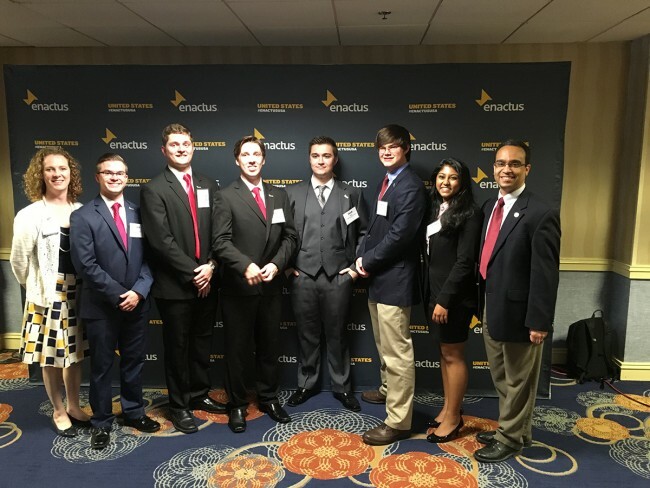 On Friday, April 1, the Georgia Southern Enactus team competed and won at the Enactus Regional Competition in Atlanta. The student-led organization focuses on providing economic support to the local area through sustainable entrepreneurial projects. Presenting for the team were Enactus president Ryan Murchland (senior), vice-president Luke Panosian (senior) and secretary Zachary Lemons (freshman). Also attending and providing support were Zack Rogers (senior), Anisha Mathur and Bailey Morris (freshmen). The team presented the impactful service projects they have been working on over the past year, which includes Paws N Claws, Supplying Individuals the Tools for Success (S.U.I.T.S.) and the Southern Classic Gaming Tournament. Murchland started the presentation by recapping the Paws N Claws project in which they started a new student organization to help build support for the Humane Society of Statesboro & Bulloch County. Paws N Claws provides volunteers to help foster last chance pets, to work at ReTails Thrift Store and to help organize fundraisers. Enactus also facilitated a partnership between Paws N Claws and the Fashion Merchandising Apparel and Design Club (FMAD) on campus. FMAD students used scrap materials to make doggie bandanas that are currently being sold at ReTails. Lemons presented the revitalization of the S.U.I.T.S. program. What began as a program to help students learn soft skills to gain employment is now a project aimed at helping the unemployed and underprivileged in the community find career opportunities. The student organization is currently using funds from a project partnership with Wal-Mart to empower women of Safe Haven Bulloch. This project is in full-swing, and the students hope to place at least two women in new or advanced job positions before competing at nationals from May 15-17. Panosian introduced judges to the inaugural Southern Classic Gaming Tournament — a new project he has been instrumental in organizing. 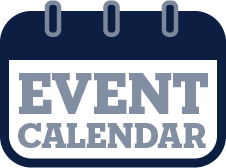 This partnership with the Southern Collegiate Gaming (SCG) Club will not only raise awareness and promote cyber security for gamers of all ages but will also raise money for a scholarship sponsored by SCG. This event will take place May 20-21, following the Enactus national competition. 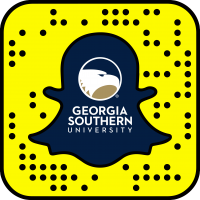 This is only the club’s second year since reorganizing to become a chartered Georgia Southern student organization. The last time Enactus earned a trip to nationals was in 2013. Enactus will host a fundraiser for their trip to nationals at Wild Wing Cafe on Wednesday, April 20, where ten percent of proceeds from that evening will go to the organization. Please join the Business Innovation Group in congratulating these outstanding students and supporting them as they represent Georgia Southern at the Enactus United States National Exposition in St. Louis, Missouri.